Rotational acetabular osteotomy (RAO), a joint-conserving surgery in which the femoral head coverage by autologous cartilage is improved to achieve joint stability, is one of the most common joint-conserving surgeries for acetabular dysplasia of the hip in adult patients. Favorable outcome of RAO for pre- and initial coxarthrosis has been reported with middle- to long-term observation; however, surgery should be selected for advanced coxarthrosis. The objective of this study was to investigate the long-term clinical outcomes and radiological arthritis changes in patients who were treated with RAO and could be followed for 15 years or longer, and to investigate the joint conservation rate by preoperative arthritis stage. The subjects were 156 patients (178 joints) treated with rotational acetabular osteotomy alone between January 1989 and June 2000. Of those, 106 patients (115 joints) were retrospectively investigated. The mean age at the time of surgery was 41.4 years (14–60 years), and the mean duration of follow-up was 20 years and 4 months (15–26 years and 7 months). There were no significant differences in the Harris hip score among the three groups before surgery; however, the score was significantly lower in the advanced than pre/initial coxarthrosis cases at final follow-up. The joint conservation rate with the end point defined as time of total hip arthroplasty was 70.4% at 20 years after surgery. By stage, joint conservation rates were 88.9, 78.9, and 59.3% in pre-, initial, and advanced coxarthrosis cases, respectively, demonstrating a significantly lower rate in the advanced coxarthrosis cases (p = 0.034). The mean time to conversion was 23, 14.5, and 13.7 years in the pre-, initial, and advanced coxarthrosis cases, respectively. 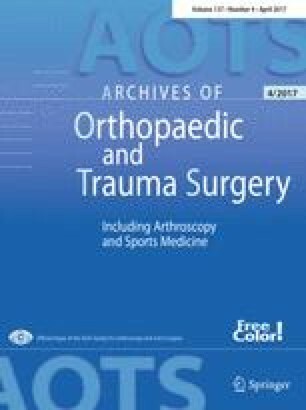 The outcome of rotational acetabular osteotomy in most hips with pre- or initial coxarthrosis was satisfactory. Rotational acetabular osteotomy is an effective surgery for treating symptomatic developmental dysplasia of the hip in selected patients. No conflicts of interest have been declared by the authors.